Super Smash Bros Ultimate is set to be the biggest entry into the series yet. It has the largest character roster of any of the games so far, boasting a staggering 74 fighters. It has every fighter that has ever appeared in a Smash game, as well as some brand new fighters. We thought it would be awesome to provide a detailed guide on each character, one which highlights the changes since the last game that character appeared in. 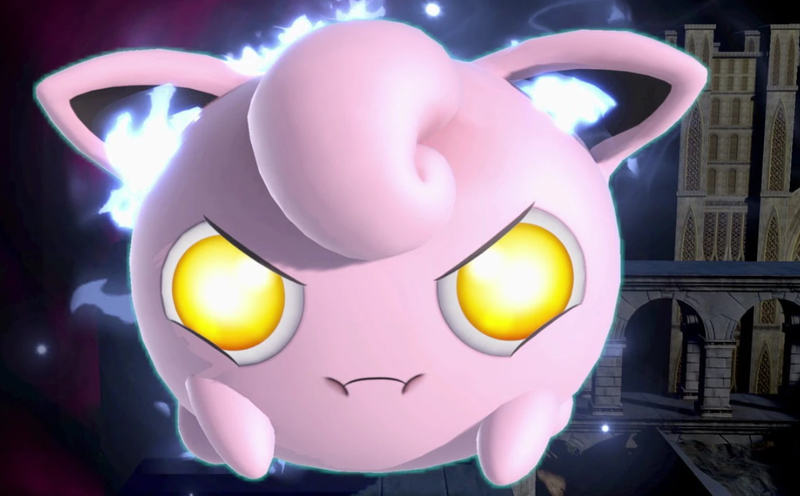 In this Super Smash Bros Ultimate Jigglypuff Character Guide, we’ll take a look at the sleep-inducing pink pokemon Jigglypuff, including the Jigglypuff moveset, variant outfits, and final smash attack. Jigglypuff is back in Super Smash Bros Ultimate, bringing a host of changes since its last appearance. There’s a slightly different Final Smash to contend with, and plenty of move changes. Let’s take a look at all the info we know so far on Jigglypuff in Super Smash Bros Ultimate. We've detailed all of Jigglypuff's Special Moves in the table below. You'll find info on how to perform all of Jigglypuff's special moves and Final Smash. 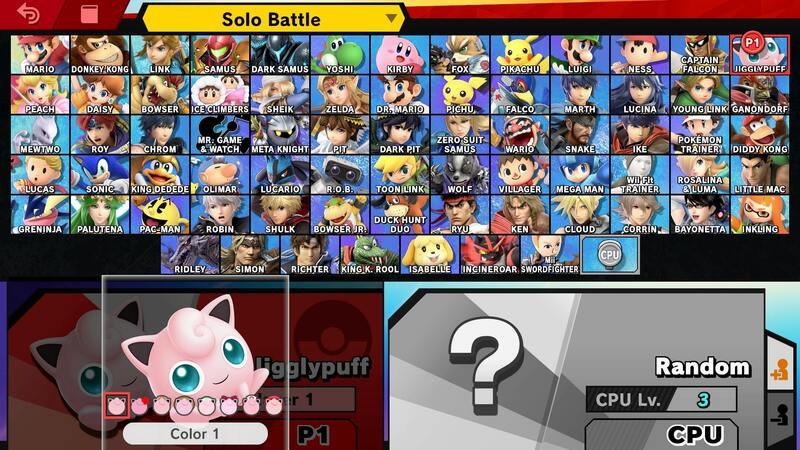 There have been no official reveals for Jigglypuff’s alternate costumes just yet, but many of the characters revealed so far have simply continued using the same variants they did in the last game. If anything substantial gets announced, we’ll be sure to update this guide, but for now, it’s safe to assume it’ll use the same selection of hats and bows that it did in SSB4. 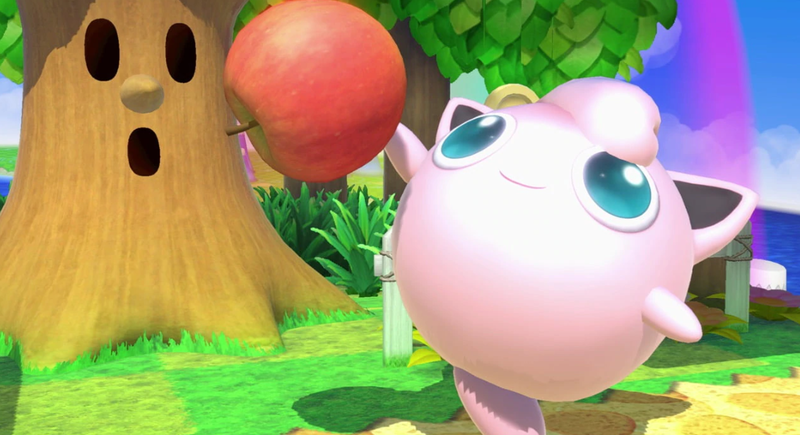 Jigglypuff is still using the Puff Up Final Smash. Its animation has changed slightly however, which you can check out in the video embedded above. Jigglypuff blows itself up to a huge size, then pops like a balloon, with a brand new animation as it deflates and sinks. That’s all the info we have on Jigglypuff in Super Smash Bros Ultimate. We’ll be adding more info as we get it, so keep checking back for more updates. In the meantime, you can learn more about Super Smash Bros Ultimate by visiting our Super Smash Bros Ultimate Guides Hub. It’s got info on the new Ridley amiibo, modes, and more.